Why Can’t He Remember What He Reads?!!! I’m working with a delightful bright and well-mannered young man who writes well. He has come to me because he doesn’t like to read and doesn’t hang on to what he’s read, especially with novels. This is neither the first nor, undoubtedly, the last encounter I’ll have with this problem, and my familiarity with it drove my efforts to become a resource teacher, showing classes that weren’t my own how to use their textbooks more effectively. But working with this young man has caused some renewed soul-searching for me. Our one-size fits all approach to teaching reading, both in terms of when we teach it and how we teach it, doesn’t always match the developmental stages and modalities of learners. We sometimes fail to offer engaging books that build the habit and pleasure of reading for meaning. 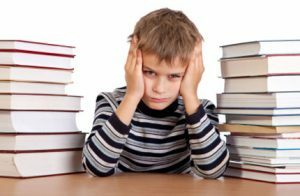 Too many students see reading for school as a completely separate task from reading for themselves and fail to apply the same habits of mind on assigned work. In our digital and multi-media age, attention spans for reading, which requires more effort than watching, may be lessened. The increased power of illustrations of children’s books has limited the ability of readers to create images and movies in their own minds. I am reminded of my own experience as a freshman in high school. My father, convinced I was bright enough to get straight A’s and frustrated that I wasn’t getting them, called me into his tiny study after supper one night. “Sit in my easy chair, El, and read the next chapter of your Social Studies text. When you’re done, I want you to tell me about it.” He sat at his desk, distractedly pushing papers around, waiting for me to look up. A compliant child, I sat there and read the whole chapter. My eyes passed over all the words, but when it came time to tell him what I’d read, I had almost nothing. But I don’t work with early readers and I won’t impact their instruction. So for me the question now is how to help this reluctant reader to develop deeper reading skills. After a review of the literature and remembering some successes from my own classroom, I found myself building a handout to give structure to his efforts. We’ve already begun, but it’s too soon to know how successful this approach might be. I expect that he’ll at least learn to “play the game,” to retain enough to do better in school. My sales pitch with him has been for him to “get more bang for the buck” and more payoff for his efforts. My heart of hearts longs to find books that capture his imagination and provoke a desire to read and understand. Sadly, his academic and athletic commitments leave little room. As someone who virtually never goes to bed without reading, who travels with a Kindle filled with books, who raised children who read the cereal box at breakfast if they weren’t allowed their books – as that person, I struggle to understand a life unenriched by the joy of reading. For now, though, I’ll settle for helping him cope with his assignments. Perhaps once he finds some success, we can enlist a cool librarian to find books aligned with his passions, books that might make him passionate about reading.